August is Colorado Proud Month! 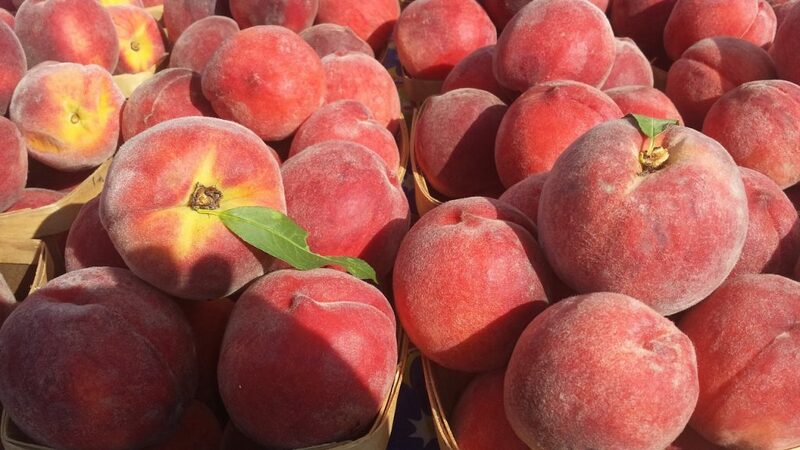 In honor of one of the juiciest Colorado staples – Palisade Peaches – Lori would like to share a favorite Sunday night dessert recipe with you. – Preheat oven to 350 degrees. Gently toss peach slices with sugar, cornstarch, lemon juice and almond-flavored liqueur; turn into a 1 ½ – quart baking dish. – In a separate bowl, mix brown sugar, rolled oats and flour. – Cut in butter until crumbly. – With a fork, stir in the almonds, then sprinkle the brown sugar mixture over the peaches. – Bake at 350 degrees for 45 minutes or until the top is golden brown and bubbling around the edges.